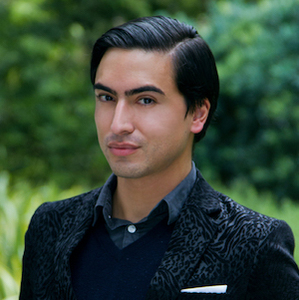 Luis G. Mota is a Los Angeles born and bred native, who relocated from sunny Southern California to Chicago’s beautiful North Shore because he loves Chicagoland’s cosmopolitan amenities — the culture, arts, fine food, and history! Chicago has everything to love about a big city, but offers an easier lifestyle without the stress usually accompanied by a metropolis and is very manageable. The geography is magnificent, and so are the people. Whether you prefer being in the city or the suburbs, you will be surrounded by beautiful homes, good food and art, and the nicest people. In his previous working life, Luis was a business development marketing specialist for ten years within the commercial real estate, supply chain and logistics, publishing, and consumer goods industries marketing multi-million and billion dollar properties, magazines, and various other products. His former real estate marketing career has given him the tools necessary to achieve success. Understanding the needs of his clients is essential to find them their “dream home successfully.” Luis prides himself on listening and figuring out what people like, dislike, and what will make them happy in the long-run. Luis earned his Bachelor of Arts in History, with a minor in Marketing. Throughout his career, he has received certificates in business ethics and crisis communications approved and certified by the Federal Emergency Management Agency. Luis is also licensed in California and Florida, and operates out of Strand Hill Christie's International Real Estate in Los Angeles and EWM Realty International, a Christie's Affiliate in Miami Beach. The purpose of this letter is to commend Luis Mota for the excellent service he provided to my husband and me throughout our rental search. We have never before written a letter of commendation on an unsolicited basis and we generally have high expectations for a job well done. Mr. Mota surpassed our expectations, providing exceptional service and we feel he should be recognized. What particularly impressed us about Mr. Mota was his willingness to help us out at the last minute on a Sunday morning. Due to unforeseen circumstances, our initial broker was unavailable and Mr. Mota stepped up. After leaving Chicago without securing a property, he diligently kept us apprised of the available properties, toured apartments and sent us updates. He communicated with leasing agents and he was punctual and professional in all his communications. We were most impressed by his diligence, kindness, and honesty. Ultimately, due to work obligations, we will not be moving to Chicago. If we are ever in need of a rental property, or know anyone looking, we would highly endorse Mr. Mota.